Great View of Cathedral Rock!! 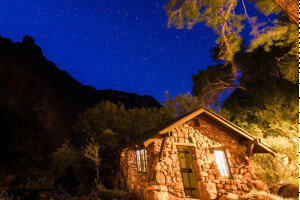 Rustic House &Suite, BBQ, Hammock, green grass & trees, secluded amongst red buttes. Weddings, retreats, ceremonies. Fill your weekend getaways with soothing relaxation and indulging meals while you separate yourself from reality with Garlands Oak Creek Lodge. Lodges just miles from the entrance to the north rim of the Grand Canyon, in the North Kaibab National Forest. Cabins for 1-6 people available. Restaurant on site. Comfortable atmosphere and cozy rooms. Beautiful view of Oak Creek Canyon and red rocks from right in your room. 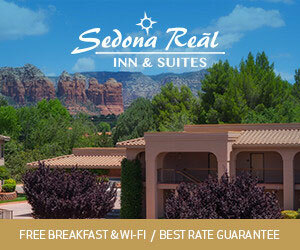 Located close to Sedona's most scenic hiking and biking trails. Complimentary high-speed internet offered. Perched atop Airport Mesa, you have magnificent views from your elegantly appointed suite. Savor activities such as hiking, jeep tours, biking. Throwback log cabin lodge based in Sedona, AZ. Located one half mile from Slide Rock State Park. Twenty available rooms with fireplace in many. Affordable lodging in Sedona, the Sugar Loaf Lodge offers scenic views and easy access to hiking and mountain bike trails. Pool, whirlpool and WiFi. Lodge-based multi-day tours into the Park. Since 1999, Four Season Guides has been offering guided day hikes and multi-day backpacking adventures throughout Grand Canyon. See our Bryce Canyon Lodging Guide for listings and information. Connect with travelers planning a visit to Grand Canyon National Park.